This class is taught locally with next class TBA Fall 2019. Details available HERE. Additional elective classes are available to squadron members including Marine Electronics, Boat Handling, Piloting & others. 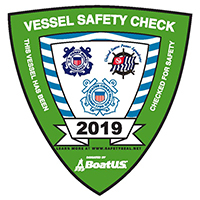 Do you want to learn more about safe boating and have fun while doing it? That's one of the goals of Beaufort Sail & Power Squadron. We are America's Boating Club of Beaufort with activities for the whole family. We conduct cruises throughout the year to various locations on the water in our area. Every month we meet at a local restaurant for socializing and recognition of members. We would love to have you join us whether you have a boat or not. 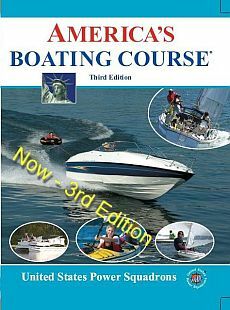 We offer the America's Boating Course twice a year and enrollment is open to any interested boaters. This course teaches the basics of recreational boating and gives you confidence to operate your boat safely. Additionally, we sponsor advanced courses for squadron members to learn more about in-depth topics of recreational boating,(ie. piloting, navigation, etc). Join us for an ABC class and have fun while you learn! © Copyright 2019 Beaufort Sail & Power Squadron, Inc.